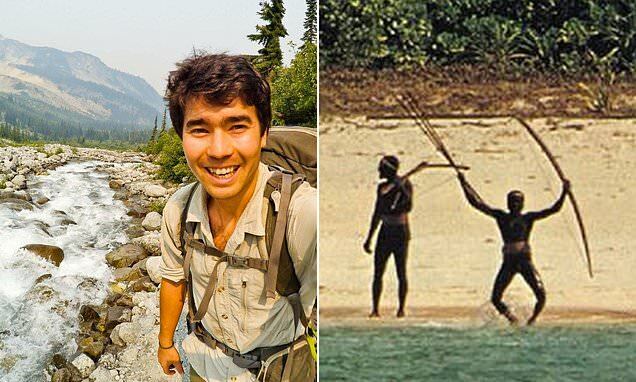 New York, Feb 8 (IANS) The US is not pursuing action against the Sentinelese tribe members who killed an American missionary trying to enter their forbidden island, according to the top State Department official for religious freedom. “The US government has not asked or pursued any sort of sanctions that the Indian government would take against the tribal people in this case,” said Samuel Brownback, the Ambassador at Large for International Religious Freedom, on Thursday. “It’s a tragic situation and a tragic case of what’s happened, but that’s not something that’s been asked,” he said, answering a reporter’s question during a news video conference if he would require the Indian government to take action against the Sentinelese tribe or recommend US sanctions on them. Brownback’s statement was in contrast to the usual strong protests by Washington against attacks on missionaries. The US would normally have criticised the refusal of the Indian government to take action against the tribe as a case of impunity. In last year’s report, the US Commission on International Religious Freedom (USCIRF) headed by Brownback, which backs proselytisation and missionary activities, criticised India asserting that in the case of religion-based attacks, “there has not been accountability for the killings due to ineffective prosecutions”. Brownback’s reaction could be tempered by the fact that Chau threatened the very existence of the North Sentinelese, who are estimated to number between 50 and 200, by exposing them to diseases that their isolation has not prepared them to face. Survival International, a Britain-based organisation that works to protect isolated tribes, warned that Chau’s incursion could have led to infections by “deadly pathogens to which they have no immunity, with the potential to wipe out the entire tribe”. The USICRF report’s recommendation to the US government to deny visas and seize US assets of Indians responsible for violations of religious freedom also would have no relevance to the Sentinelese. He said that in the past year he had observed politicians and governments realising that manipulating religion for their own benefit was not good. “If we’re going to grow our economy, if we’re going to have security, we need to have religious tolerance and religious freedom guaranteed for everybody,” he added. Brownback said that he saw the start of non-violent effort at interaction among religions, particularly among the Abrahamic faiths – Judaism, Christianity and Islam – “where there is a growing sense that we’re in this together, that we need to figure out how to work together”. He said the visit of Pope Francis to the United Arab Emirates – said to be the first by a Catholic pontiff to the Arab Peninsula – was a “really milestone event”.